Start Echolocation: The Sixth Sense of Humans? Echolocation: The Sixth Sense of Humans? Different species in the animal world, such as bats, dolphins or whales, emit sounds to orient themselves in their environment and locate prey. This ability—echolocation— is not as exceptional as it might seem since we humans can learn to do it too. With clicks produced with the mouth and a certain amount of practice, anyone can develop the skill. However, it is the blind who best manage the feat, and the explanation could lie in their brains. Have we discovered the coveted sixth sense? Similar to how the sonar of a submarine works, bats, whales and dolphins emit sounds and their brains analyse the returning echo. This acoustic rebound gives them the information they need to locate and track their food, an ability that is known as echolocation. Their limited vision, in addition to the dark environments in which they navigate, makes it difficult for them to see like humans. 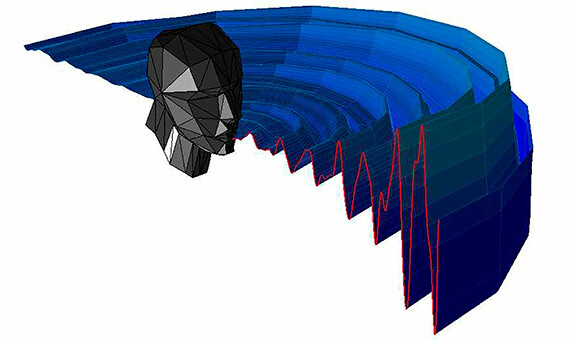 Illustration of Acoustic Pattern of Mouth Clicks for Human Echolocation. Credit: Thaler et al. But this ability is not exclusive to these animal species. Human beings can also develop it with practice and frequent training. “In my lab we train people for example by asking them to do a particular echolocation task, for example to detect if an object is in front of them or not, and by giving them feedback after every trial, if they gave the correct answer or not,” explains Lore Thaler, a researcher in the psychology department at Durham University (United Kingdom), to OpenMind. When the participants repeat the test several times, they improve. The human echolocation expert compares this skill with learning a second language—the way to improve is to use it. In her case, she tries to practice, even outside the laboratory. “When I do it, I typically close my eyes or use a blindfold and also carry a long cane with me because this helps me to detect obstacles on the ground,” she says. Anyone is able to hear the echo of their voice and know, from the reverberations from their surroundings, if they are in a large or small space or an empty room. But for more information, such as detecting objects or obstacles, active signals are needed. Although anyone is able to develop this ability, it is blind people who learn to dominate it. According to Teng, losing sight at a younger age is associated with greater sharpness of echolocation. Although anyone is able to develop this ability, it is blind people who learn to dominate it. Credit: Freaktography. “These experts [the blind people] are able to use echo signals in precise ways that most untrained sighted people cannot match,” says the scientist. In his view, there may be something about long-term blindness that facilitates the learning of echolocation at a higher level, but researchers still do not know what it is. What they do know is that, in addition to the mouth, this skill involves two fundamental regions of the organism: the ears, which capture the sounds and their echoes, and the brain, which processes this information. 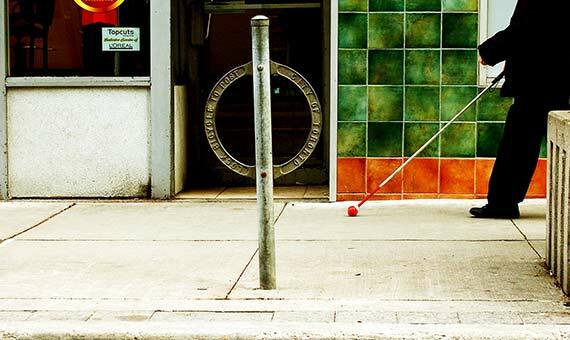 In the case of people with blindness, brain images have shown that areas related to vision are activated, which could suggest that echolocation triggers specific brain processes in people who lose this sense. 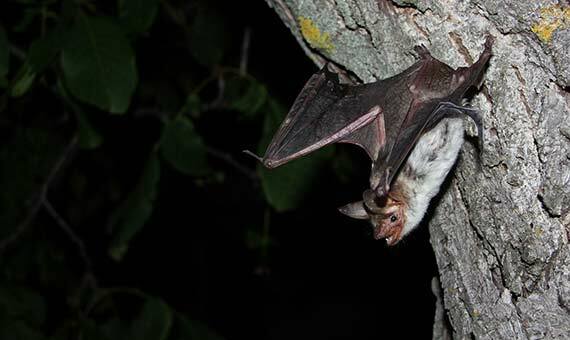 The main difference between the sounds emitted by bats and humans to echolocate is their speed and the frequency range. Bats use ultrasound that our ears cannot pick up; we only hear between 20 hertz and 20 kilohertz and ultrasound vibrates in waves of higher frequencies. This rhythm between infrasounds is even faster when the animal wants to land somewhere or catch an insect—it can emit up to 160 sounds per second. The more information it wants to know about an environment, the greater the rate of the sounds that it emits. According to Greif, the time between one infrasound and another can reach as little as 5 milliseconds. Despite the differences with other animal species, could we conclude that echolocation is something like the sixth sense of humans? “I’m not sure if I would call it a sixth sense, as there are too many connotations about that term invoking thoughts of mysterious powers that one cannot explain,” says Thaler. Considering that echolocation uses the auditory sense and brain areas related to vision in the case of blind people, it would be a kind of mixed sense, an extra skill about which we still have a lot to discover.